Project for Healing Humanity and founder Fernanda Mejia Varnamkhasti have been thrilled to play a role in unity around healing for victims of abuse and their families. 1 ½ years hosting 8 live online vigils for those affected by sexual abuse. That being said, the time to for PfHH to transition is at hand. We are thankful and grateful for those who have followed and participated. Project for Healing closed our original Facebook and Google+ pages and website on August 24 to make room for phase ll of Project for Healing Humanity with Dianna O'Hara and Wayne Snellgrove. 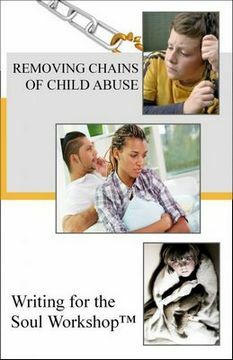 However we know something great was begun and we are thankful that Ark of Hope for Children will continue vigils live online AND live locally in states and regions internationally through the UnChained Project, their associated UnChained Project Facebook page and groups as well as their Google+ Page. Having managed the technical side of organizing all of the vigils we know they are in good hands. We know this will be a great next chapter to our work. We encourage everyone to join their pages and groups which will be shared below. Some great partnerships began and many new friendships were formed all of which was beyond what we ever could have expected. If you are a survivor of any forms of the sexual abuses we served, we turn you to these great organizations that have come along side us throughout our run. Please turn to the following care organizations for great care that we know you will receive. We simply could not close out with a resounding THANK YOU to the following people that have been so supportive of Project for Healing Humanity. We cherish you.